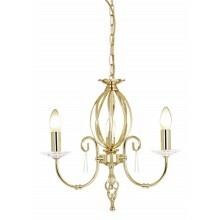 A decorative chandelier that will create a comfortable atmosphere in any room of your home. 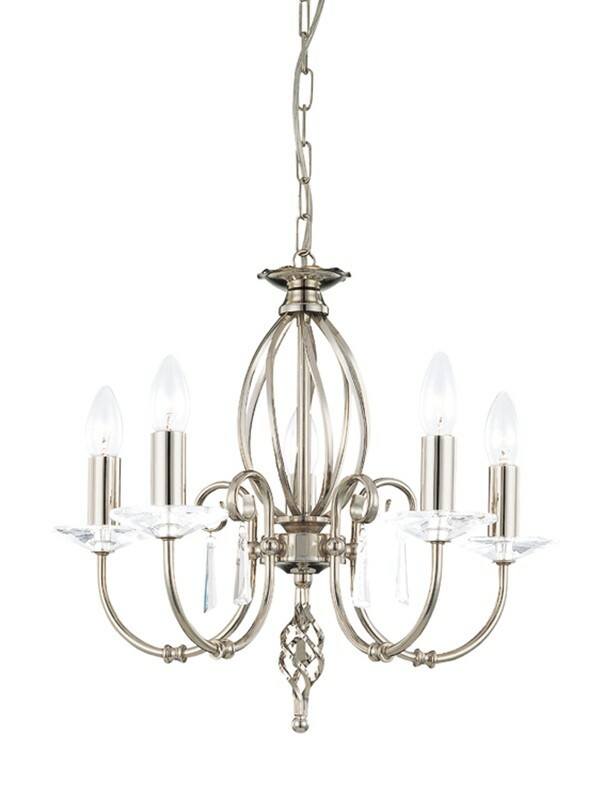 The sublime polished nickel finish and clear candle lamps give this light an exciting appearance that lends to any room that special touch. 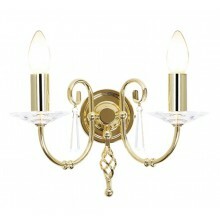 The light would work well in a dining room but equally as well in a bedroom or hallway to give an artistic look. 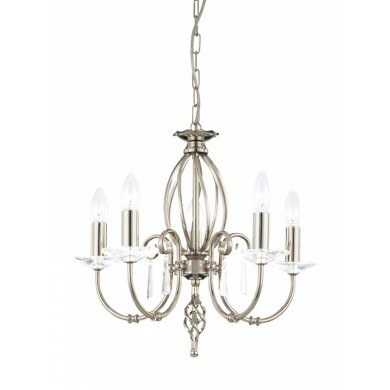 This suspension chandelier will produce a suitable amount of light for any party or occasion with its 5 x 60W candle lamps that emanate from the main fitting via polished nickel arms. 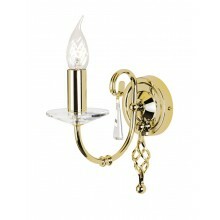 This is the perfect light for anyone wanting to add a touch of sophistication to their property.